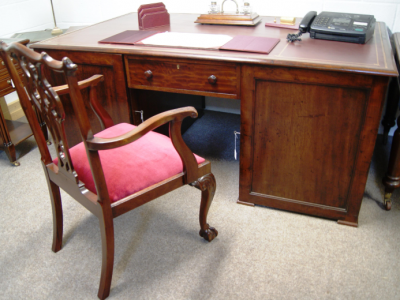 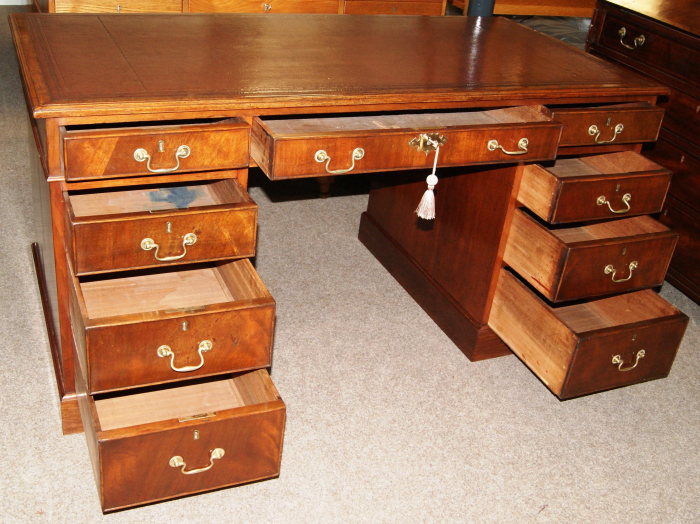 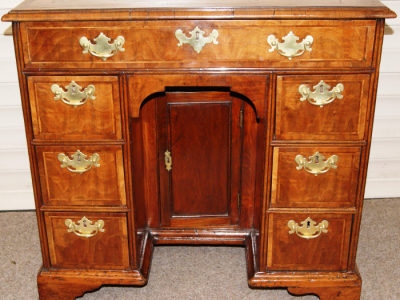 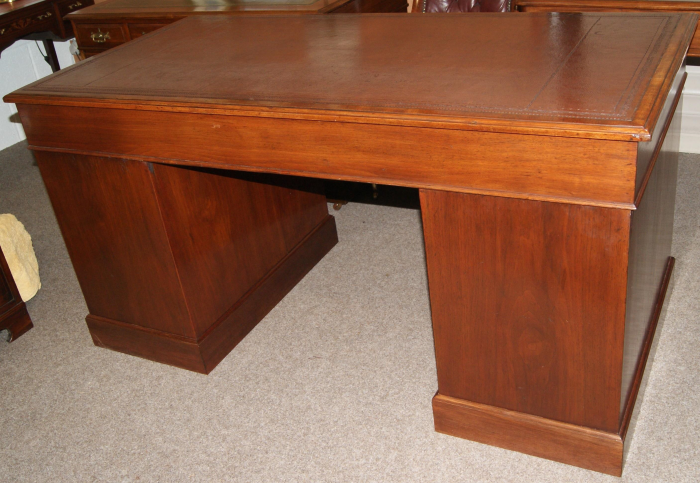 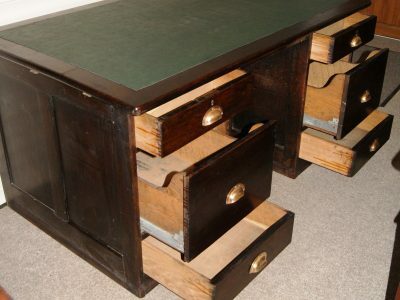 A very good 5ft antique office desk. 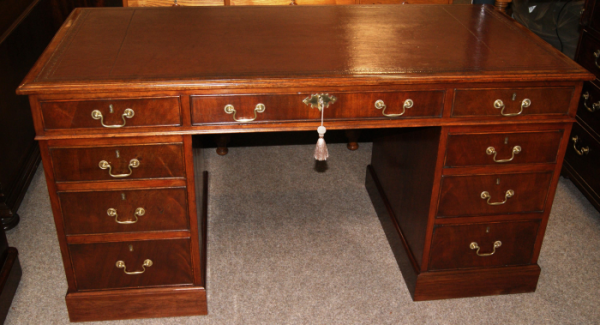 Late Victorian period (circa 1900) constructed in the earlier Georgian style. 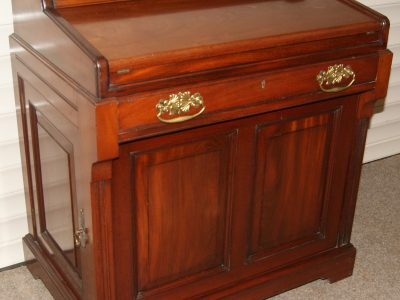 Nine deep mahogany lined drawers with original brass handles, center drawer locking with new lock & key. The top still retaining its original ox-blood tooled full hide leather surface, nicely worn but undamaged. 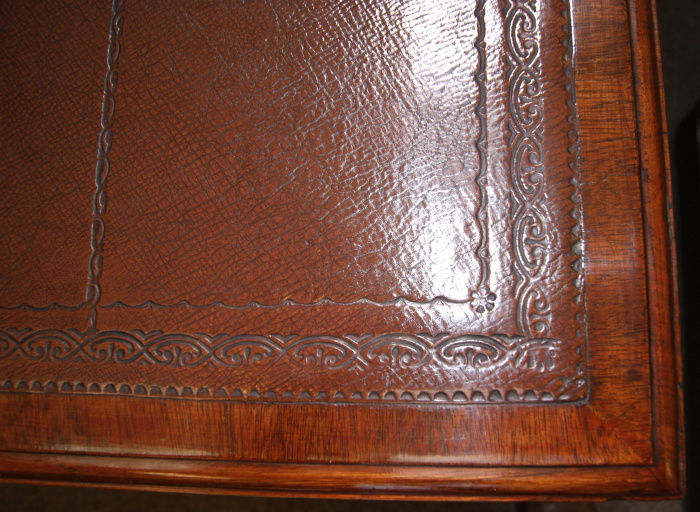 Kneehole size: 24ins high x 26.5ins wide. 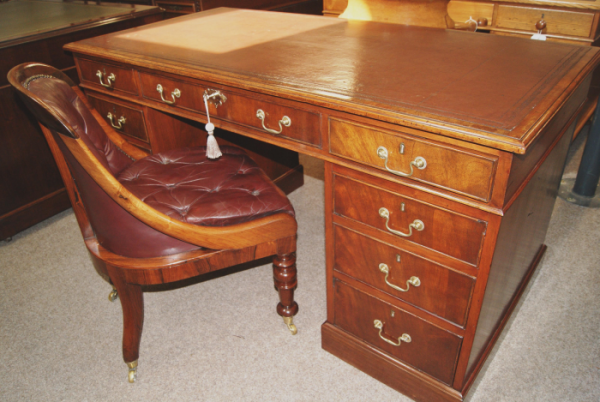 Restored & re-french polished all round making this the ideal working desk that can stand comfortably in a room center if required.